Where have I been lately? Just basking in the joy of new motherhood! For all you baby lovers out there, I'm sorry to disappoint. Our new addition is as fluffy as can be and spends 80% of his time napping, 10% exploring every crevice of the backyard, and 10% attempting to destroy my white couch. 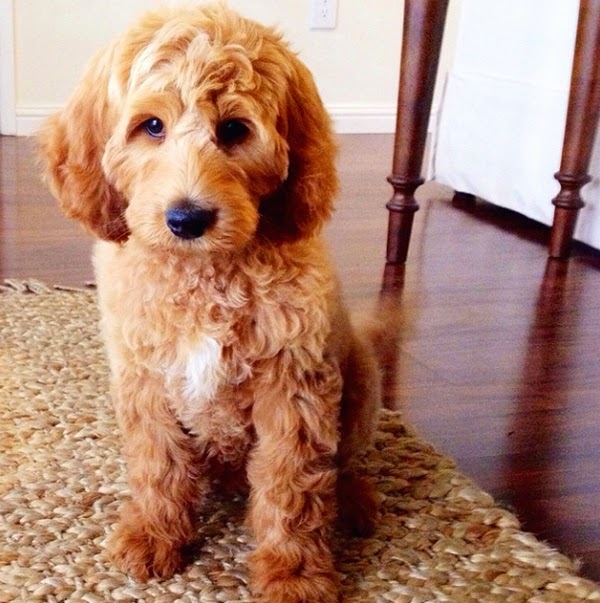 I'm referring to our brand new labradoodle puppy, Brinkley. My absolute favorite type of blog posts to craft are gift guides and with Brinkley on the brain, and sleeping by my feet, I thought I'd start with one for the dogs (and dog lovers) in our lives. We've found ourselves buying a lot of stuff for our puppy lately, and I've been on an obsessive quest to find the perfect products that are not only stylish, but also durable and functional. 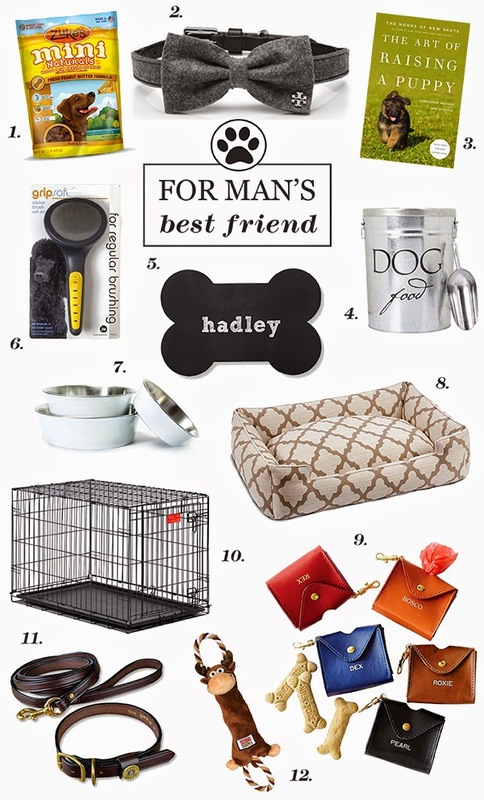 Below you'll find some items we've already found helpful and some things on Brinkley's wish list. There's the little guy who's stolen our hearts! Hope all you dog lovers enjoyed this post, and for the rest of you, I promise there will come a day where not every photo on my Instagram feed is of Brinkley. And more gift guides are coming soon! I'm always taking suggestions-- anyone on your list who you could use a little inspiration for? Christmas is sneaking up! !